Learn more about becoming a sponsor of our popular events–Pastorius Park Concerts, Holiday House Tour, Hoops Madness Basketball Tournament and more! Saturday, November 16, 2019 5:30 to 7:00 p.m.
Family and friends come together to meet Santa and celebrate the beginning of Chestnut Hill’s holiday season. 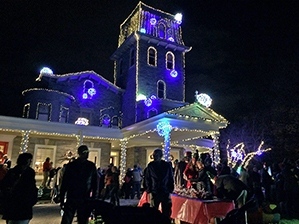 Enjoy live music, hot chocolate, cookies, and the opening of Woodmere’s holiday exhibition, Merry and Bright. Families are encouraged to bring a new, unwrapped toy to donate to a charity for underprivileged children. Sponsored by the Chestnut Hill Business Association and the Chestnut Hill Community Association. 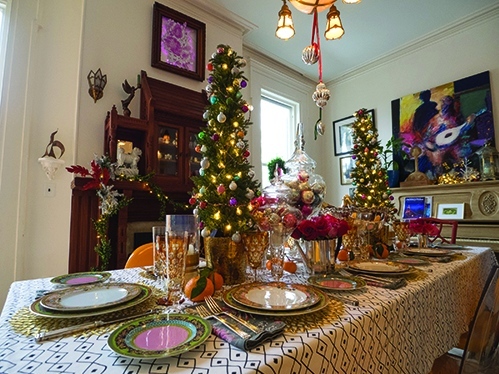 Get inspiration for your holiday décor as you step inside historic homes that are gloriously decorated for the season. This cherished tradition highlights the area’s rich architecture, and invites attendees to take advantage of discounts at restaurants and shops. Tickets are $45 for CHCA members and $50 for non-members, and include the option of riding the holiday trolley throughout Chestnut Hill. We brought back a long-standing Chestnut Hill tradition in 2012 which contributes to our village atmosphere. 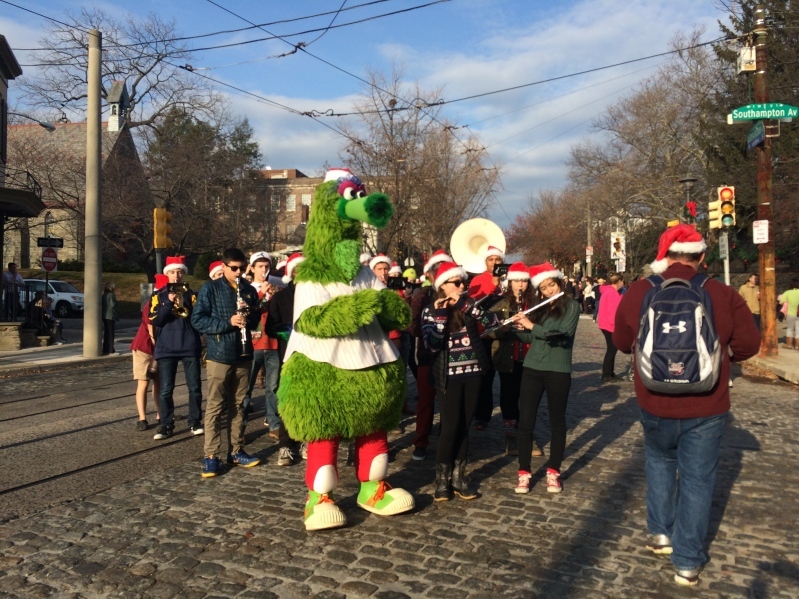 Families line Germantown Avenue to wave to the marchers in our Annual Chestnut Hill Community Holiday Parade. We welcome teams, scouts, and musical groups to help us celebrate! This meeting is our warm welcome for every CHCA member. This event also represents an opportunity for the community association, The LOCAL and the Community Fund to offer their state of the organization addresses. Pastorius Park is located off of Millman Street and West Hartwell Lane (view map). 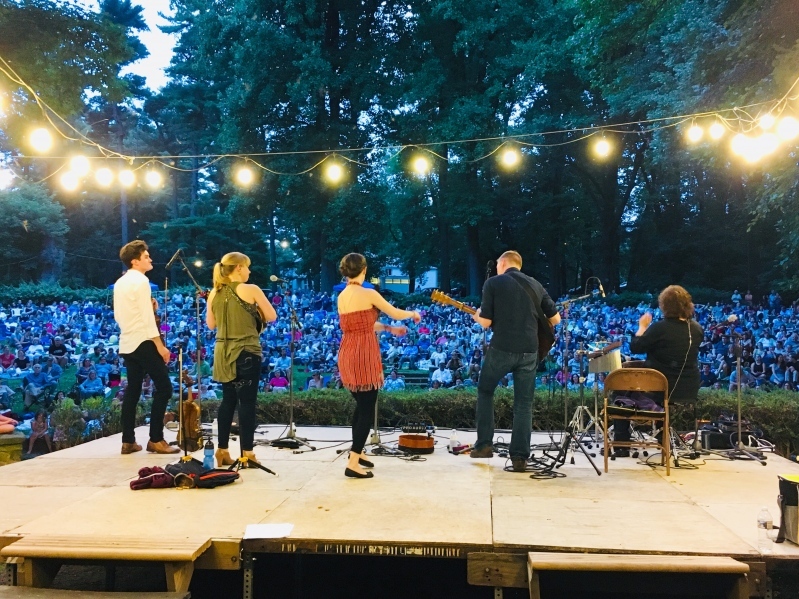 This is the longest running outdoor concert series in Philadelphia and takes place amongst the backdrop of one of Chestnut Hill’s most majestic areas. Bring blankets and chairs and enjoy the music. The concerts are supported by both the Chestnut Hill Community Association and Chestnut Hill Hospital. We are also grateful to our individual concert and concession sponsors. If a show is rained out, it will take place at Springside Chestnut Hill Academy’s Cherokee Campus, 8000 Cherokee Street, Girls Lower School Auditorium. Attendees may park in the Laurel Parking Lot across from the entrance, along Cherokee Street, Willow Grove Avenue, and the Gold Lot and Senior parking lot. See online map. The neighborhooddrive in movie theater experience is reinvented and perfect for those lazy summer nights. 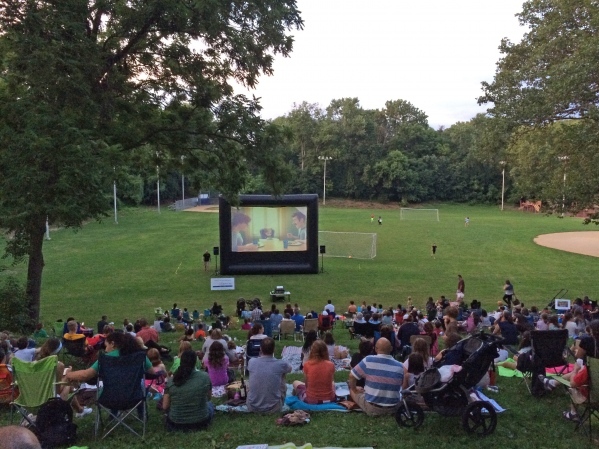 We show popular films on the lawn of the Water Tower Recreation Center projected from a 28 foot screen. Bring your family, friends, blankets and lawn chairs. CHCA members can visit us at our membership tent to pick up a complimentary treat and a drink. Each week we will start the fun at 7:00 p.m., by having a Philadelphia food truck set up to sell delicious treats, entrees, beverages and sandwiches. Come early and enjoy a picnic before the film begins at 8:00 p.m. If it rains the film will be canceled. 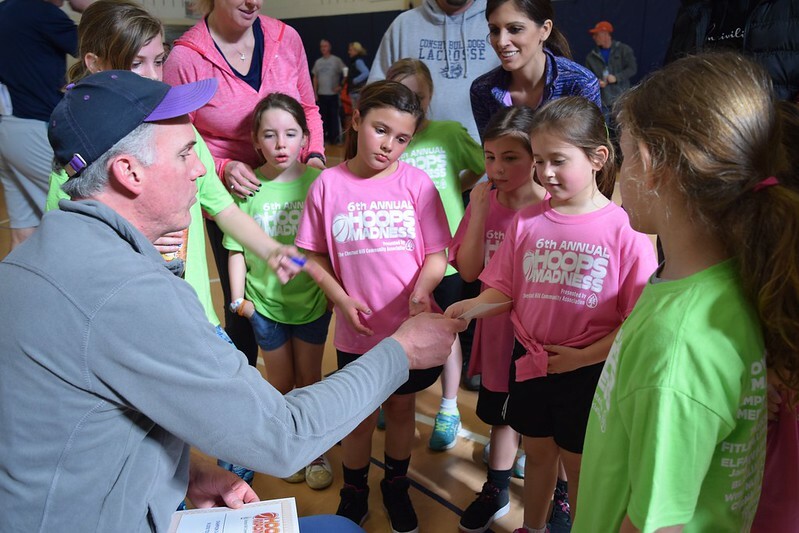 Inspired by March Madness, the NCAA college basketball championship, Hoops Madness offers kids and adults a chance to play half court, 3-on-3 games of basketball and participate in a variety of shooting contests. Players are encouraged to form teams of four (three players and a substitute) or they can be placed on a team the day of the tournament. Brackets will be based on specific ages, therefore, your child will compete against his/her peers. There will be GIRLS ONLY brackets, as well. All players receive a CHCA Hoops Madness t-shirt and are eligible to participate in the 3-point, foul-shooting and half-court shooting competitions. Families and friends are also encouraged to fill the stands and sidelines. Throughout most of the day, six games will be going on at once and, in between games, players can warm up and practice their shots. Matt Paul Sports is one of the event's sponsors and provides basketballs, referees and coaches to help players in between games.